Since the Workers of England Union’s conception, it has been campaigning for ‘cheap labour from abroad’ to be stopped so that local people can benefit by working for companies that sell their products across the UK and in England. We have campaigned for people who have settled in local communities to be trained and given the skills that industry requires. For years the far left and the old traditional Trade Unions have attacked that view. So now it is absolutely brilliant that the WEU’s campaign has been vindicated by Jeremy Corbyn, the Labour Party leader. The question is, will those same old, out of touch Trade Union’s attack Jeremy Corbyn for agreeing with the Workers of England Union? or will Jeremy Corbyn want to join the WEU now that he agrees with us? The Workers of England Union has led the way in calling for these companies to commit to creating employment in the country that gives them their wealth. All Trade Unions should argue against companies using ‘Cheap labour’, that is the role of a Trade Union! If a Trade Union fails to campaign against the use of ‘Cheap Labour’ then it has failed you. Jeremy Corbyn will today claim there has already been an economic “benefit” of Brexit, as he launches a campaign to boost British manufacturing. The Labour leader will suggest the crash in the pound that followed the 2016 referendum made sterling more competitive and should have helped UK exporters, had the government had a plan to let them capitalise on it. 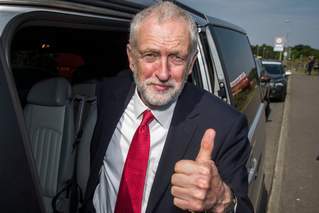 It will come in a “build it in Britain” speech, in which Mr Corbyn will also attack the use of “cheap labour from abroad” and demand government contracts are kept in Britain instead of being given to “companies outside the UK”. 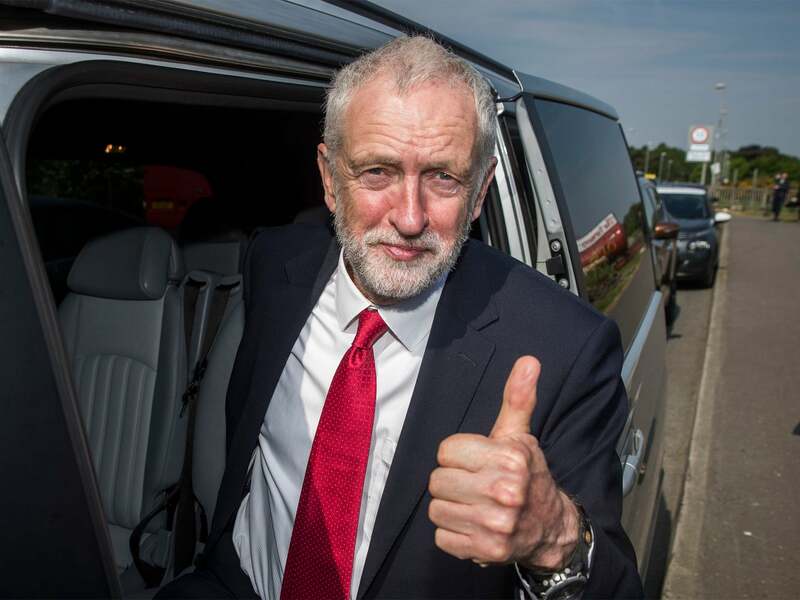 The nod to potential economic benefits of leaving the EU will anger those in his party who want the Labour leader to soften his stance on Brexit, while his rhetoric on industry is likely to be compared to Donald Trump’s “America first” approach to manufacturing. Mr Corbyn will use a speech in Birmingham to claim the government has prevented UK businesses from exploiting the “one benefit” Brexit has already delivered. He is expected to say: “Our exporters should be able to take proper advantage of the one benefit to them that Brexit has already brought – a more competitive pound. The pound plummeted in the wake of the vote to leave the EU, wiping billions off the economy and leaving many businesses and consumers worse off. Sterling is currently worth around 14 per cent less against the Euro than it was before the Brexit vote. Launching Labour’s “Build it in Britain” campaign, Mr Corbyn is expected to condemn what he will call a reliance on migrant workers, and criticise the government for awarding contracts to foreign companies. Mr Corbyn’s team will hope the message will go down well in Labour’s northern heartlands, where many areas voted Leave amid concerns over immigration. However, it is likely to be criticised by some of the party’s own MPs, who are pushing for their party leader to adopt a more anti-Brexit stance and commit to keeping the UK in the EU single market. Comparisons are also likely to be drawn between Mr Corbyn and the language used by Mr Trump as he set out his “America first” approach during the White House’s “Made in America Week” last week. The US president said: “We want to build, create and grow more products in our country using American labour, American goods and American grit. Mr Corbyn will also promise that a Labour government would hand national contracts to UK companies. He will say: “We have plenty of capacity to build train carriages in the UK and yet repeatedly over recent years these contracts have been farmed out abroad, costing our economy crucial investment, jobs for workers and tax revenues. If we want to reprogramme our economy so that it works for everybody, we must use powers we have to back good jobs and industry here. “Labour is determined to see public contracts provide public benefit, using our money to nurture and grow our industries, our people and to expand our tax base.